This hefty 6 oz. shirt is complete with tough taped shoulder-to-shoulder seams and shrink-resistant performance. 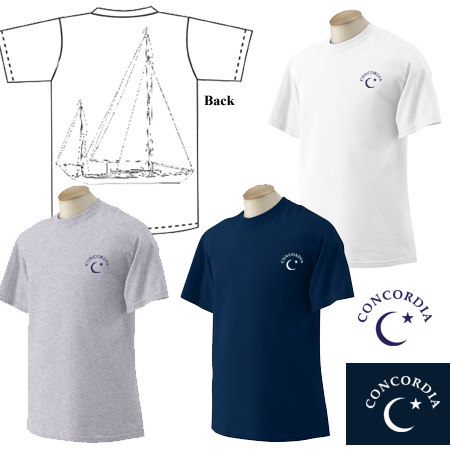 The Concordia logo is heat pressed on the left chest, with a large line drawing on the back.